Portrait: Anne-Marie and Jacques Faux-Vandeputte, Belgium – Cultivate! “St Michel farm in Wasmes-Audemez-Briffoeil was built on the grounds of a former inn by the end of the 18th century. Since 1745, the place has been owned by our family. We have been living here since 1980. At that time, the farm was mainly oriented towards traditional crops (cereals, sugar beets, potatoes). In the nineties we decided to switch to keeping livestock (limousine cattle and farm poultry – chickens, turkeys, ducks) while striving for a good balance between meadows, cultures and animals. We have constantly been seeking a maximum of fodder autonomy. This brought the farm into a certain circular economy: the animals transform a part of the crops and their by-products into manure and, in turn, the crops recycle animal manure which keeps the soil healthy and biodiverse. On the basis of this philosophy, we recently switched to organic farming. 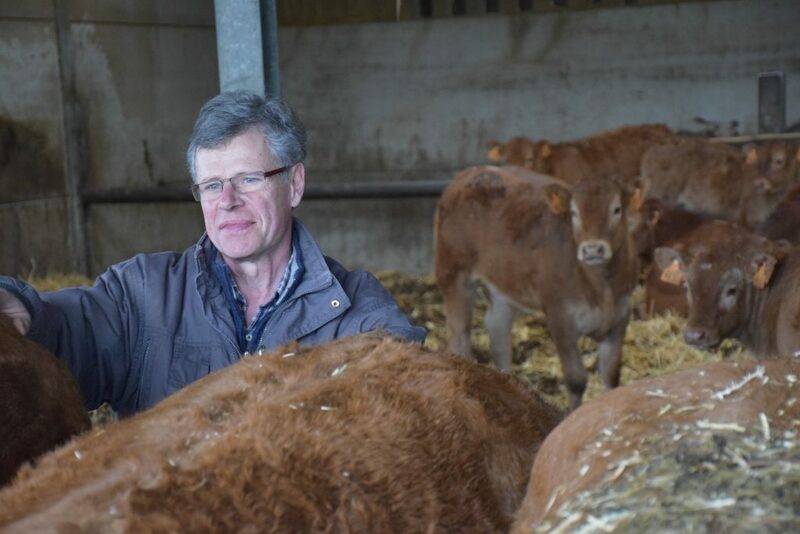 All livestock production is directly sold to local consumers, either by a local co-operative, or through the farm shop. The latter nurtures our close relationships with the customers and helps us to understand their wishes. One example is that we are currently engaging with a consumer group to develop alternatives to plastic bags and packaging.